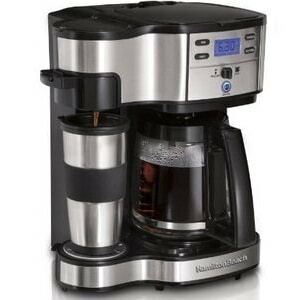 Hamilton Beach 2 Way Coffee Maker has some great advantages making it a good little coffee brewer for your business. 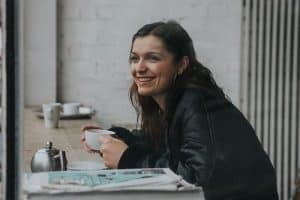 If you’ve ever run a resort, motel or bed and breakfast you know that your guests have come to expect a coffee machine or coffee brewers to be available in their accommodation. Your guests might have just stepped out of the car, off the plane or out of a meeting – whatever their circumstances are, there is nothing better than a refreshing pick me up coming from a freshly brewed coffee; and even better if they don’t need to leave their room or accommodation to find one. When you think of commercial coffee makers you probably automatically think of the large machines found in cafes and restaurants, but the Hamilton Beach 2-way single serve brewer is a great option for in-room coffee makers. Guests have the option of having just a single cup either in a normal coffee mug or in a travel mug, as well as brewing up a 12 cup carafe of coffee. Why Choose Commercial Coffee Makers over Domestic Coffee Makers? When you are running an accommodation venue you need to make sure that the coffee brewers provided are easy to use and easy to clean, as well as having the functionality of making more than one cup of coffee at a time. If you put coffee machines that are too hard to use you will end up with multiple calls from tired customers asking how to use the machine; machines that are too hard to clean will see either your cleaning staff spending longer cleaning rooms or you will find yourself needing to replace them more often. The Hamilton Beach 2 Way coffee maker is perfect for this use. But the Hamilton Beach 2 Way coffee makers aren’t just for motels and resorts. You could easily install one of these in the office, waiting room or staff kitchen keeping everyone happy with freshly brewed coffee to the standard of much larger and more expensive commercial coffee makers. These days a kettle or a coffee pot aren’t always enough. Instant coffee in single serve packs with those tiny little packets of milk just don’t cut it with many travelers. If you want to make your accommodation stand out from your competitors, look at installing Hamilton Beach 2 way coffee brewers in your rooms or common areas – it will make your guests feel more comfortable, will show that extra step you have gone in delivering on their every need and will give you an advantage over other accommodation providers in your area. Have a look on Amazon.. click here.